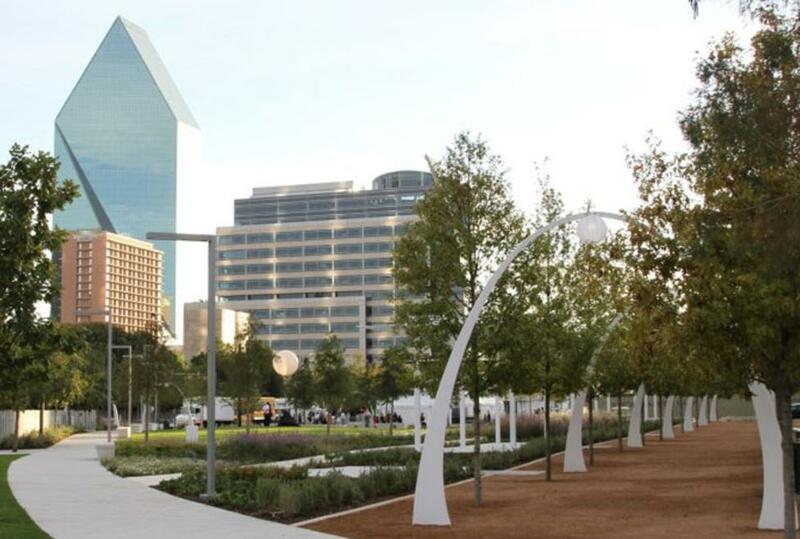 Klyde Warren Park is a 5.2-acre public park in downtown Dallas. 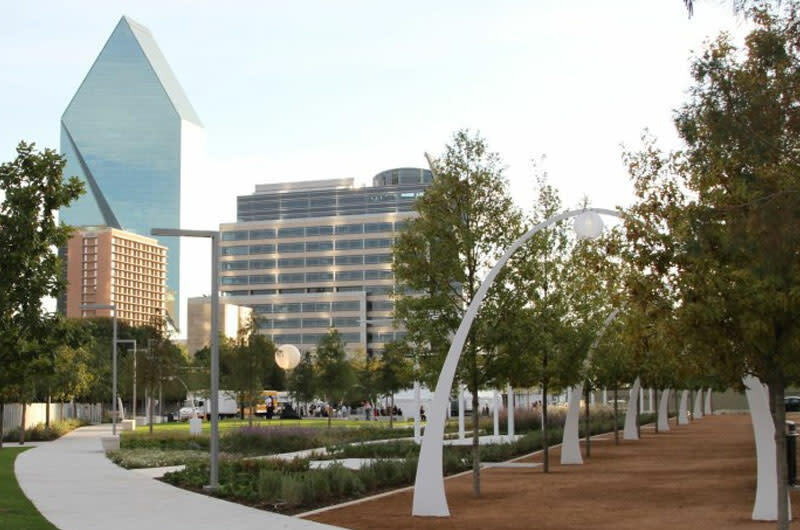 The park is an urban green space built over the recessed Woodall Rodgers Freeway. On a weekly basis, visitors enjoy concerts, yoga classes, a dog park, a park for children, game areas and walking trails. Restaurants include Savor, a gastropub, and Relish located on the Southwest Porch.